Gente di Mare Italian Genealogy › Community Forums › All Things Italian › Translations › Merry Christmas in Italian? Community Forums › All Things Italian › Translations › Merry Christmas in Italian? Posted: Thu Dec 18, 2008 7:25 am Post subject: Re: Merry Christmas in Italian? Sorry Carole we posted a reply more or less at the same moment. Posted: Thu Dec 18, 2008 9:01 am Post subject: Re: Merry Christmas in Italian? No probs Ada... I still luv ya! Posted: Thu Dec 18, 2008 9:41 am Post subject: Re: Merry Christmas in Italian? Giorgio loves to lounge around in the sun! Laura, prefers to spend the money! Filippo is the only one that is doing something useful at home! Disclaimer: I'm kidding, I don't mean to offend or be disrespectful to any one! Posted: Thu Dec 18, 2008 12:01 pm Post subject: Re: Merry Christmas in Italian? Posted: Thu Dec 18, 2008 1:56 pm Post subject: Re: Merry Christmas in Italian? The wine we drink is usually California's Rodney Strong or Kendle Jackson Merlot. In restaurants we prefer Chianti, usually the house stuff, cause it's the cheapest. In fact we're going out this morning to re-supply the wine bar for our Christmas Eve family party. Then it's over until 2009... Joe B. Posted: Thu Dec 18, 2008 2:08 pm Post subject: Re: Merry Christmas in Italian? I started making my own this year, both beer and wine. Apparently, I have done reasonably well as I get requests from friends all the time. The Chianti I made was an especial favorite. I give away almost all I make to family and friends. 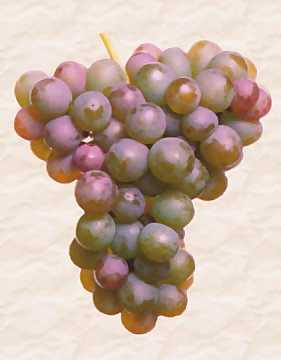 I'll be bottling Gewurztraminer in another week or so. Salute! Posted: Thu Dec 18, 2008 2:18 pm Post subject: Re: Merry Christmas in Italian? Posted: Thu Dec 18, 2008 2:39 pm Post subject: Re: Merry Christmas in Italian? Tom, is it easy to find the grape to make Chianti in US? Posted: Thu Dec 18, 2008 2:54 pm Post subject: Re: Merry Christmas in Italian? When I was a child we made a family project out of making wine every year. We would go down to train station in a shady area of Chicago (I remember being scared there) and my dad would buy crates of grapes right off the train. He was very choosey… Then we ould bring the crates of grapes home and my brother and I would wash them and pull all the stems out and put them in buckets. When we were done we would dump the buckets of grapes into a huge tub. Then my brother and I would put plastic bags on our feet and stomp on the grapes. Of course I got kicked a lot by him. My dad would finish the project. The basement smelled horrible while the wine was fermenting. But the wine was really great! Posted: Fri Dec 19, 2008 1:17 am Post subject: Re: Merry Christmas in Italian? It is possible to get all sorts of grapes and/or concentrates, kits, etc. Here is a link to a winery near me that grows sangiovese grapes which are the principal grape in the blend to make Chianti www.raffaldini.com/ Technically, I suppose only wine from the Chianti region can be called Chianti. Chianti is blended and the grapes and the percentage of different varieties in the blend may vary from winery to winery. The wines I'm making are good quality wines; I wanted to gain a little more experience before I move up to the very expensive premium wines and turn out some inordinately priced vinegar Of course, I wouldn't mind having a little Grappa for the cold mornings this winter But I have no way to make that, at least at the moment. The Gewurztraminer I made is a dry white wine although most people are more familiar with a slightly sweet version of it, which is the type I am most familiar with. The next red I make might be a Pinot Noir or Zinfandel, the white probably a Chardonay. There are quite a number of wineries in this area of North Carolina where I live as the soil and growing conditions are surprisingly good. Posted: Fri Dec 19, 2008 5:38 pm Post subject: Re: Merry Christmas in Italian? Posted: Fri Dec 19, 2008 6:06 pm Post subject: Re: Merry Christmas in Italian? Merry Christmas Riccardo! Have fun in Trapani! I will miss you. Send our wishes for a Merry Christmas and a Happy New Year to your beautiful wife Teresa too! Posted: Fri Dec 19, 2008 6:16 pm Post subject: Re: Merry Christmas in Italian? Riccardo, I checked out your Sicilian Genealogy site and I'm wondering if you could help me find the parents oh my wife's Grandfather. His name is Francesco Romano (sometimes Luigi) DeMaso. He was born in Nebbiu, Pieve di Cadore, Italy, 29 December 1866, Married Giuseppina Del Favero at Valle di Cadore, 22 January 1896. They both emigrated to Chicago in 1896. I have written the Commune di Pieve di Cadore with no results. I have found extensive data for Giuseppina Del Favero on Roberto Piccioli's website. His branch of the DeMaso line however ends with his birth at Nebbiu. I assume there is some charge associated with your effort. I only ask that you let me know of any costs prior to doing the research. Thank You, Joe B. Posted: Fri Dec 19, 2008 6:54 pm Post subject: Re: Merry Christmas in Italian? Posted: Fri Dec 19, 2008 8:12 pm Post subject: Re: Merry Christmas in Italian? Thank you Riccardo, have a nice time. I take the opportunity to wish everybody a Merry Xmas and Happy New Year as I might not be around in the next days.